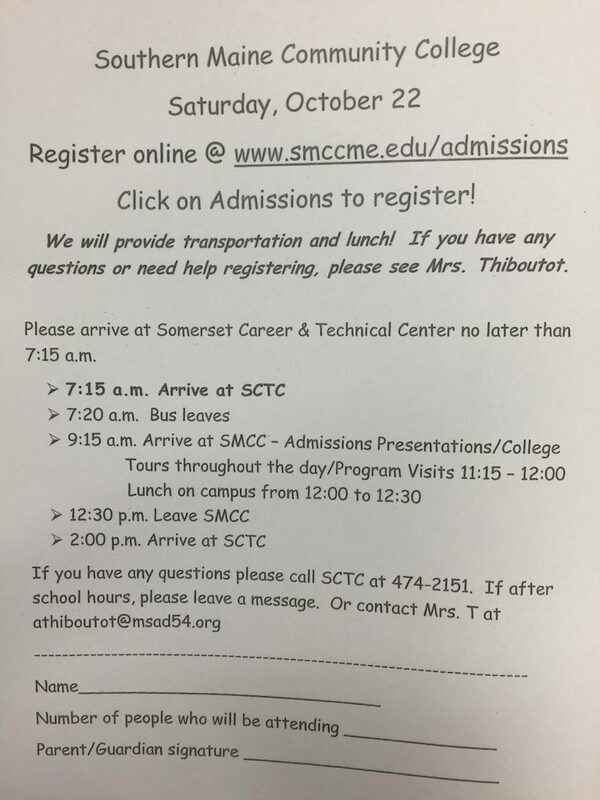 Did you know SCTC provides free bus trips to our students and their families to visit colleges? Our first trip is to Southern Maine Community College on Saturday, October 22nd, 2016! FMI see the flyer below or call 474-2151!